• 7:00am to 11:00am – DREAM TEAM Pancake Breakfast (Sponsored by the NBN DREAM TEAM). Cost is FREE, donations encouraged. 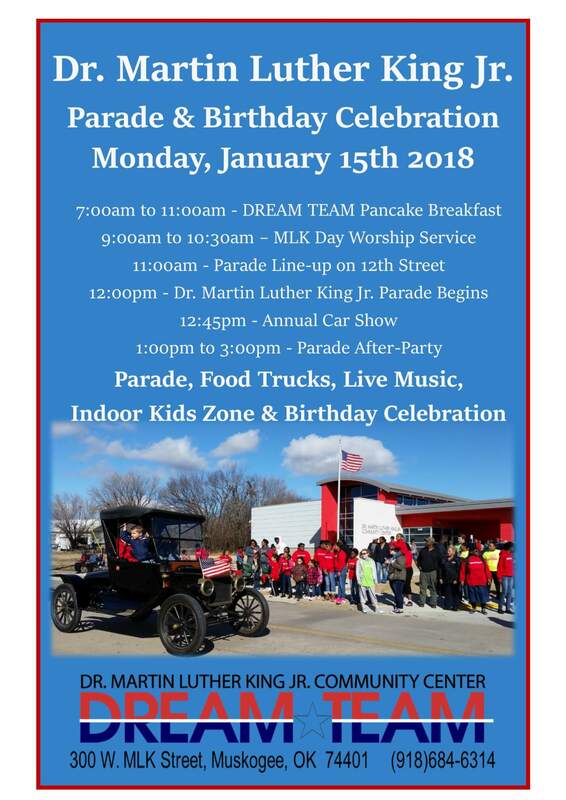 • 11:00am – Parade Line-up on 12th Street, the parade participation form is now available at the MLK Jr. CC. 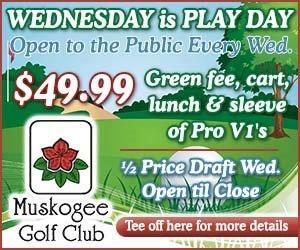 Please call the MLKCC at (918)684-6314 for more information.